There were some really neat clouds rolling over the Teton Mountains our first day in Grand Teton National Park. Even in early afternoon light, it made for images with great mood. I owe my wife, Beth, all the credit for this composition. It was her idea all the way. I just captured and processed her vision! She's really quite the talented photographer! 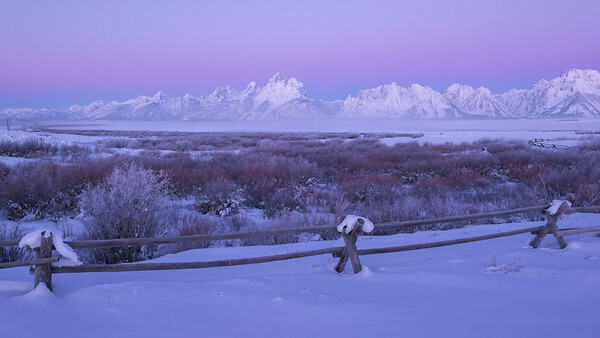 This was my first time witnessing morning’s first light grazing the peaks of the Teton Range. Stunning to say the least. 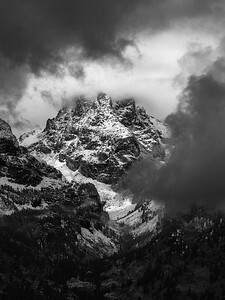 I was set out to capture sunset over the Teton Range and while waiting for what I had envisioned in my mind, a different scene revealed itself. The clouds broke just over the top of the mountains and a burst of sunlight grazed the grasses and gave a warm glow to the golden autumn colors. 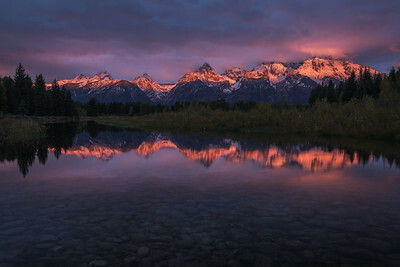 This is not the typical or classic view of Oxbow Bend in Grand Teton National Park. This place is absolutely stunning in the fall and the large crowds reflect that. But on this cold winter day, there wasn’t a soul in site. The iconic location was quiet and peaceful. 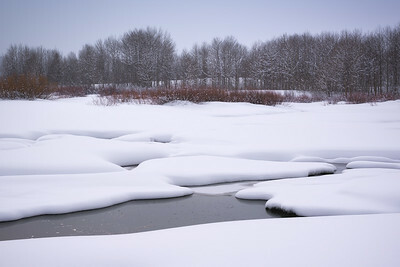 The valley had received inches of fresh fluffy precipitation over the past few days leaving pillows of snow covering the scene. 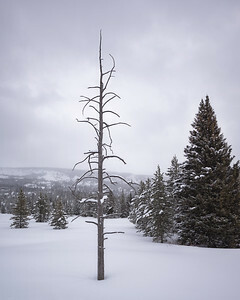 We were very strategic where we snowshoed around the perimeter of the otherwise untouched landscape, being careful not to leave tracks that might ruin our compositional possibilities. This was my first composition from this location, coincidentally, also my favorite. 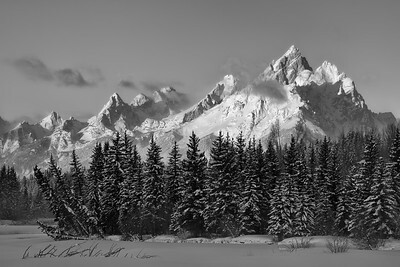 Spent a week exploring Grand Teton National Park under it’s winter blanket with friend and photographer Larry Lindell. 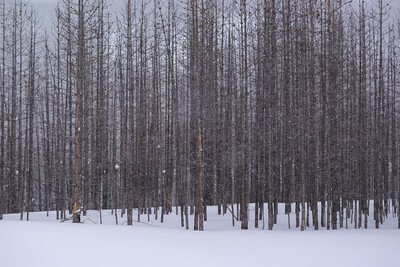 We were greeted with two days of fresh snowfall before experiencing clearing skies that revealed this stunning scene. It was a calm but crisp -10º F. Totally worth it!